The British Bomber Command did nearly everything it could to keep the pilots flying, establishing a draconian system of military discipline, in which moral arguments overruled medical explanations. The stigma of ‘LMF’ or ‘Lack of Moral Fibre’ was a horrifying threat which hung over all air-crew until late 1945. Unofficially, the accusation of ‘LMF’ has been bandied around ever since. It’s a peculiarly British term, hastily introduced by Senior Officers in April 1940 because the RAF badly needed a deterrent for air-crew who were becoming (understandably) reluctant to fly. This was a point in the war when maintaining morale was a key part of British Strategy: stiff upper lips were needed to save the day. Flying stress, aeroneurosis and aviators’ neurasthenia had all been recognised as real conditions before the war, with symptoms similar to shell shock. As Britain faced invasion, there was a fear that if doctors diagnosed too many air-crew with these disorders, the result might be a mass exodus from an already under – manned airforce, and sufferers would be entitled to a pension. We went in that night as usual, for a briefing, and it was Hamburg again. Johnny and his crew went out to the aircraft, but the crew said to Johnny, “We would like a rest tonight, because of what happened last night.” Johnny said to them, “If you feel like that there is nothing I can do about it”, and brought the crew back into the briefing room. They were arrested and taken to Stradishall and put into military custody by the Military Police. They were kept in jail overnight and the next morning they were taken to a place called Eastchurch to face punishment for their misdemeanour. When they arrived at East Church, and their case was heard, they were stripped of their Brevies (Brevets are the wings worn on the tunic, denoting the job of the wearer) and their Sergeant Stripes. When they came back up to Chedburgh, they were sent to the airman’s mess and made to peel spuds. That was a demonstration of the others on base not to ‘go LMF’ (Lack of moral fibre) whatever you do! That gave us a good warning, you might not want to go out on a mission, but you were scared not to go. I felt sorry for the crew, the whole lot of them. All the crew were disciplined, except the Pilot, Johnny Johnston, he just picked up another crew and went on as briefed. Some, who it was thought could be redeemed were sent off to the Aircrew Refresher Centres at Sheffield and Eastchurch (Disciplinary Centres in other words). After 14 or 21 days at these places an offender might be able to resume flying or take up ground-crew duties. The short quick response was intended as a deterrent to others and to counter the possibility that the problem might spread plus the fact that a multi-crewed aircraft’s safety might be compromised by the perceived weakness of a crew member affected by LMF. It affected all aircrew but on the whole I feel it was more evident with aircrew outside the Pilot designation. There appears to be little officially recorded of the LMF problem but there is an abundant anecdotal evidence from fellow air-crewmen of LMF. However it has to be said LMF never had an adverse effect on the capability of Bomber Command to mount its operations. It would be very difficult to identify those accused of LMF. Identities were restricted and I would think the only clue to the background of those so affected would be in their personal files, i.e, their Service Record. 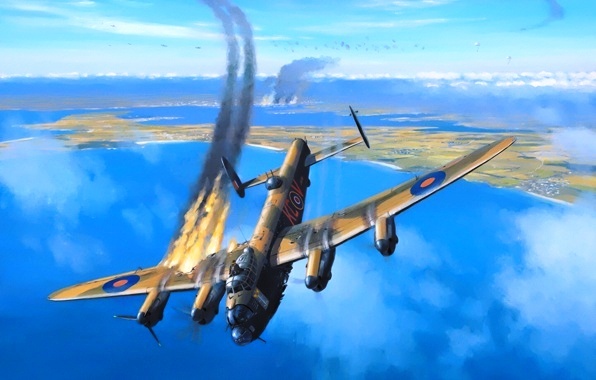 The stories of a Bomber Command crew member simply refusing to fly again are quite common. In some cases it was an accumulation of stress and for others, a particularly difficult op pushed them over the edge. The irony, of course, is that so many crews never survived long enough for LMF to ever be a potential factor. They could be killed on their 5th op and receive a decoration while another airman went LMF after 25 ops and never received any recognition. An unfair situation but totally necessary under wartime flying conditions. The greatest sympathy should be reserved for those who tried their very best but likely lived in shame for decades after the war. All the while, he strained through the blackness of the night for a glimpse of an enemy fighter. Confusingly – fatally – it could be a flash of light or the very opposite, a black shape darker than the night sky around it. ‘You see something. Your heart jumps. But you can’t just blaze away. If you fire, the tracer will give your position away to the enemy for sure. Anyway, you might hit another Lancaster. Plenty of planes were knocked out by someone on their own side panicking. ‘So you wait – it gets closer, until you can make out a head and shoulders in the cockpit. Is he going to keep coming? Is he going to start firing? ‘Sometimes he peels away out of sight, and that’s the worst moment of all. All you can do is pray that he hasn’t dived below you and is coming back underneath with his guns blazing. Facing concentrated flak was like flying into a curtain of high explosive. ‘All of a sudden there would be red fire-flashes and orange explosions on either side of me, lighting up the inside of the turret. It comes horribly close and there is nothing you can do to protect yourself.’ A direct hit by a shell would destroy a plane in mid-air, but most damage was caused by shrapnel slicing into the aircraft’s fuel and hydraulic lines, oil system or engines, and into its crew. A Flying Officer Navigator, single, aged 28. This officer was consulted completing 16 operational sorties because he felt he could no long continue to fly. He was on the verge of tears throughout the entire interview and broke down twice. He said that he hated flying and that he had always hated it from the 1st time he ever went airborne. Despite this enormous handicap he was considered to be one of the best navigators in the squadron; a remarkable testimony to the determination with which he tackled his disability. His mood during consultation was one of utter dejection; he could neither smile nor laugh and he was acutely miserable at his final inability to overcome his mounting dread of flying, by day or night, operational or non-operational. Physically he was perfectly normal. His 16 trips did not constitute a full operational tour but his persistence in the face of innate fear of flying which had never left him deserved and received the sympathetic appreciation. 1942 British bombers flew without 2nd pilots. This had the effect of placing an additional burden on men who faced an already high pressure situation. In the end, British doctors concluded that the relatively higher breakdown rate for pilots was due to the special stresses to which they had been subjected. The most important of these factors was doubtless the psychological strain imposed by being solely responsible for the lives and welfare of others. British evidence also revealed that nearly 40% of emotional breakdowns were occurring in crews which had not reached operational status, and a surprising 8% had not flown at all. It is likely that operations between the 5th and 14th were among the most stressful. By that time the excitement and novelty of combat flying had worn off and crews became increasingly aware of their vulnerability. For many men, full recognition brought resignation to death and possibly a lowering of stress. But disorder levels increased slightly towards the end of tours as men who had survived that long began to “sweat out” their survival. An August, 1943 a report indicated that the incidence of neurosis in Bomber Command was 4 times that of the entire Royal Air Force. In sum, it would appear that the rate of psychological disorder related directly to the amount of hazard undertaken. How is courage spent in war? Courage is will-power, whereof no man has an unlimited stock; and when in war it is used up, he is finished. A man’s courage is his Capital and he is always spending. During the period of their most frequent operations Bomber Command aircrews fell broadly into 2 categories. At the top, there were a number of pre-war regulars, short service officers, and RAF volunteer reservists who usually served at the more senior positions. Steadily reduced by attrition during the early years of the war, by 1942 and 1943 these men directed the 2nd category, which was generally a much younger group of volunteers. It was to fall to these more inexperienced men — mostly in their early 20s, but frequently 18 or 19 years old — to fight the bulk of Bomber Commands battles. They served in every aircraft position, from air gunner to pilot, and alongside ground support people as well. 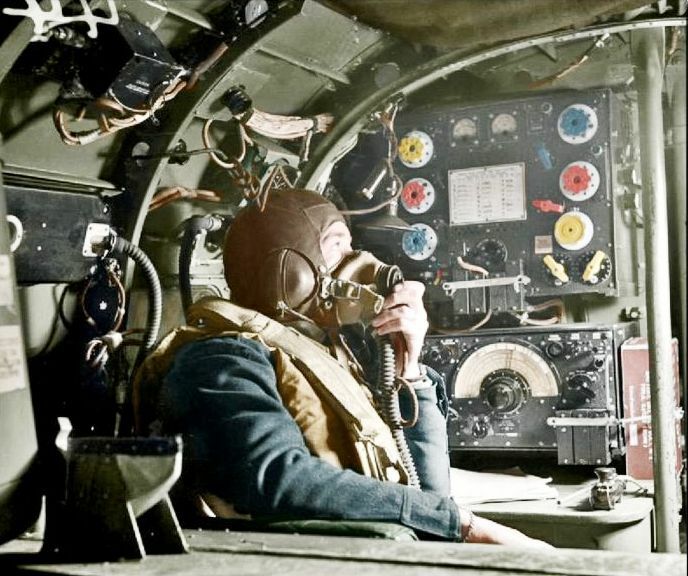 Because Bomber Command depended solely upon volunteers to wage its war in the air, it was necessary to sustain and enhance both the image and the benefits afforded them. There was even a term which simultaneously connoted the image and envy generated by airmen; they were the “Brylcream Boys.” While it may have been that beyond the recruiting stations there were few illusions about the grim survival statistics, for some the opportunity to fly and eventually earn a commission must have outweighed dark thoughts about one’s own mortality. Youth brings with it peculiar notions about invulnerability in the face of extreme danger. To say that aircrew volunteers, especially early on, were enthusiastic, eager, and hopelessly naive is no exaggeration. 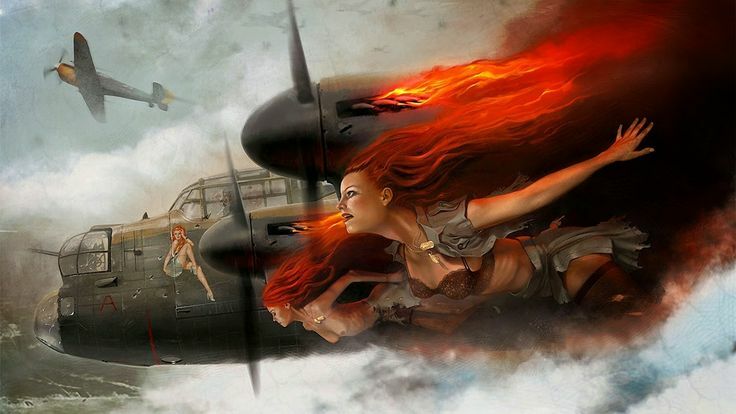 Despite the steady human toll taken during training — always immensely dangerous — the full risks of flying were rarely understood until actual operations commenced. Later 21st Century conflicts allowed for Post Traumatic Stress Disorder as a now recognised medical condition. An anxiety disorder caused by very stressful, frightening or distressing events. PTSD is estimated to affect about 1 in every 3 people who have a traumatic experience, but it’s not clear exactly why some people develop the condition and others don’t. An RAF cartoon from the 1940’s warning about the dangers of hypoxia at high altitude. I am often surprised that so much written about Aircrews assumes that all those who volunteered did so for the same reason, were of a homogeneous type and background and viewed their Service in the same way. It ignores the fact that Aircrew came from every Strata of Society and that the reasons for volunteering were almost endless. Further, there is an increasing tendency to suggest that all Aircrew went through the same basic emotional response during their service. This is plain wrong. I have seen various former Aircrew quote that everyone was scared stiff and aver that anyone who says they were not, were liars. Yet I interviewed a former Mid-Upper Gunner who was threatened with expulsion by his Pilot, due to his habit of dozing off in his Turret. Hardly someone consumed by fear. That Gunner’s story also illustrates my points (above), in that as a youth, living a Peasant farming life in Scotland in which he shared boots and beds with Siblings, he once saw an Aeroplane which made him dream of flying. As he explained to me, the War offered him the chance to make his dream come true. He volunteered. He was given a Uniform, his own pair of shoes, sheets on his own bed, 3 meals a day, could fly regularly and, to top it all, he was paid to do it! He used to sit in his Turret on the way to Germany and consider himself the luckiest man on earth!